"It was...unnecessary for me to fret about who the murderer was: Everybody was." "I, on a lovely spring day in 1955, suddenly came to the realization that there exists only one reality, and that is me, my own life, this fragile gift bestowed for an uncertain time, which had been seized, expropriated by alien forces, and circumscribed, marked up, branded—and which I had to take back from 'History', this dreadful Moloch, because it was mine and mine alone..."
Born in Budapest in 1929, Imre Kertész was imprisoned at Auschwitz in 1944, and then at Bunchenwald concentration camp. After the war and repatriation, the Soviet seizure of Hungary ended Kertesz's brief career as a journalist. He turned to translation, specializing in German language works, and later emigrated to Berlin. 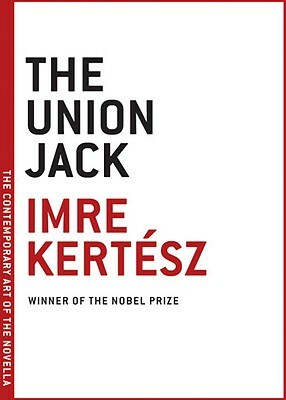 Kertesz was awarded the Nobel Prize for literature in 2002 for "writing that upholds the fragile experience of the individual against the barbaric arbitrariness of history." "...An enormous effort to understand and find a language for what the Holocaust says about the human condition." "...Searching and visionary beyond the usual parameters." "In explaining something of the weight and importance of Kertesz's subjects and creative achievements, it is hard to convey simultaneously the deftness and vivacity of his writing....There is something quintessentially youthful and life-affirming in this writer's sensibility..."